Reid’s Interwebsblogg: Science Killed Tim Russert? 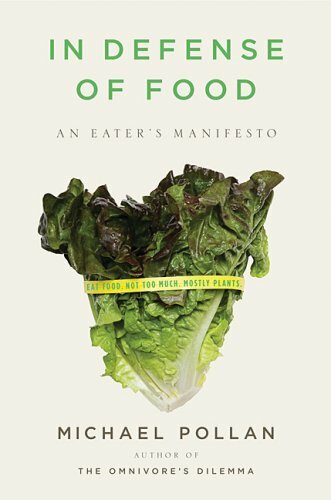 I finished reading a quite remarkable book the other week, In Defense of Food, by Michael Pollan (Amazon). In it, Pollan tears down mainstream thinking on food and how to eat - "nutritionism" - arguing that to be healthy, one simply should "eat food, not too much, mostly plants". Failure to stand up to those who twist our results to their own profitable ends. These failures in the 40's and 50's led to the environmental disasters that we struggle to clean up today, and these failures in the 70's, 80's, and 90's led to the public health disaster that is only beginning to emerge. Tim Russert died of cornary artery disease, one of a constellation of "Western diseases" rare outside the "civilized" world. As scientists, we all share the burden of his death and the duty to improve our field so that it truly and fully serves the interests of the people.